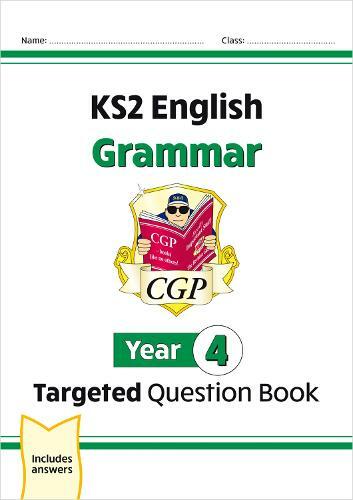 This KS2 English Targeted Question Book is packed with engaging, colourful grammar practice for Year 4 pupils (ages 8-9) - all fully up-to-date for the National Curriculum from September 2014 and beyond. There are notes and examples throughout the book to help children get started, and tick-boxes to help them keep track of how confident they feel about each topic. Year 4 Targeted Question Books are also available for Punctuation (9781782941248) and Spelling (9781782941286), with answers to all three books sold separately (see 9781782941514).